Vermont students flooded the Statehouse this month to speak to legislators about the dire need to take bold action to address climate change. Their pleas and passion were welcomed by many new climate champions that joined the Vermont Legislature this year. As the Trump administration scorns its responsibility to tackle climate change, state and local governments have new opportunities to show leadership and pave the way for a cleaner and more prosperous future. Climate change is the biggest environmental and public health challenge of our generation – and the next. According to the latest science, we must reach zero polluting emissions by 2050 to avoid the most disastrous effects of a changing planet. While Vermont has made strides advancing energy efficiency and renewable energy, we are falling behind in reducing toxic climate pollution from burning fossil fuels in our cars and homes. A top priority for CLF this legislative session is advancing a Global Warming Solutions Act (H 462). This bill will ensure that Vermont takes action to cut carbon pollution, protecting families and businesses from the worst effects of climate catastrophe while growing the state’s economy. Vermont Has a History of Small Steps. But we Need Bold Action Now. A decade ago, Vermont was one of the first states to set high goals to reduce toxic climate pollution. Unfortunately, they were just goals. And, while the State took some small steps over the years to advance electric vehicles, increase wind and solar for electricity, or make homes more energy efficient, a recent report shows that greenhouse gas emissions have increased 16% in Vermont since 1990. Clearly the small steps have fallen short. Tackling climate change demands serious, committed action. Another decade of falling behind is not an option, and goals alone are not enough. The Global Warming Solutions Act will get Vermont back on track by mandating that the State cuts carbon pollution to levels in line with our goals. This will avert the worst impacts of climate disruption as well as create jobs and stimulate the economy. It makes the state’s existing carbon pollution goals enforceable requirements. This will ensure policies and regulations are in place to slash emissions 75 percent by 2050 so we are on course over the next 30 years to avoid climate catastrophe. The bill also includes requirements for showing progress along the way, so we avoid missing targets in the future. It directs the state to evaluate and implement the best approaches. It’s not prescriptive about how to make the reductions we need, leaving those choices to agencies with expertise on these matters. But it does create a transparent, open, and inclusive process that gives everyone, from farmers to builders to local communities, a voice in crafting the state’s path forward. In developing approaches, the State will consider impacts and benefits to the economy, environment, and public health to ensure solutions are effective and work for everyone. It builds on existing success. The bill provides a framework that all climate actions fit within. Whether we increase renewable energy generation or join regional or national efforts to cut pollution, all those activities will help satisfy the state standards. The Vermont Global Warming Solutions Act builds on the success of other New England states in implementing strong climate laws. Both Massachusetts and Connecticut have similar laws and have succeeded in cutting climate pollution while growing their economies. The Vermont climate bill will set enforceable standards and then allow state government to make sure regulations and policies are in place to achieve them. 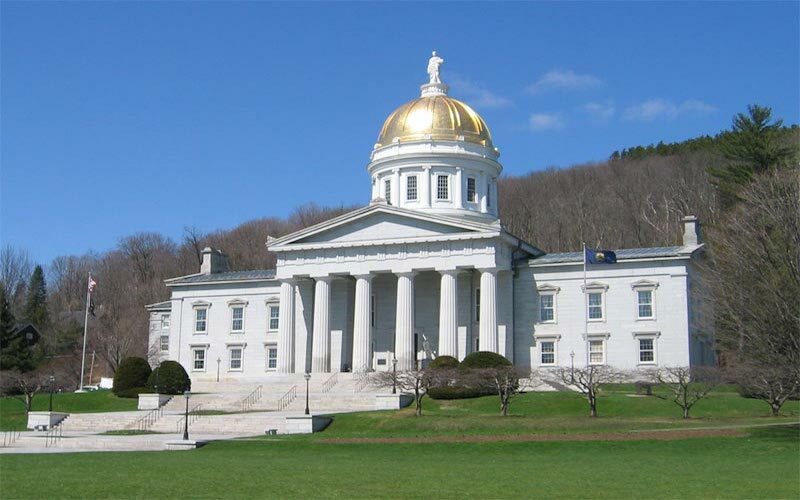 The Vermont Legislature would see every year that progress is being made. The clear requirements to reduce climate-damaging emissions also will foster innovation and job growth in what is already the fastest growing sector of the economy. Instead of spending money on polluting oil and gas, Vermonters can keep those dollars in their pockets. By bringing more jobs and innovation to Vermont, communities can save money while growing renewable and clean energy solutions statewide. What’s more, clear requirements to curb climate pollution protect the health of all Vermonters. This will particularly protect vulnerable populations who are most affected by the ravages of air pollution and climate change – our children, our elderly, and those with respiratory conditions like asthma. That, in turn, means lower healthcare costs and a better quality of life for all. Contact your legislators directly, either by phone or email. You can learn who your representatives are here, and they can be contacted by calling 802.828.2228 or emailing sgtatarms@leg.state.vt.us. Your representatives need to hear from you. You can also join CLF’s mailing list, and we’ll make sure you get up-to-date details about the bill’s progress and fresh talking points as things progress. I look forward to working with you, and thank you for doing your part to make sure that Vermont will act on climate now!